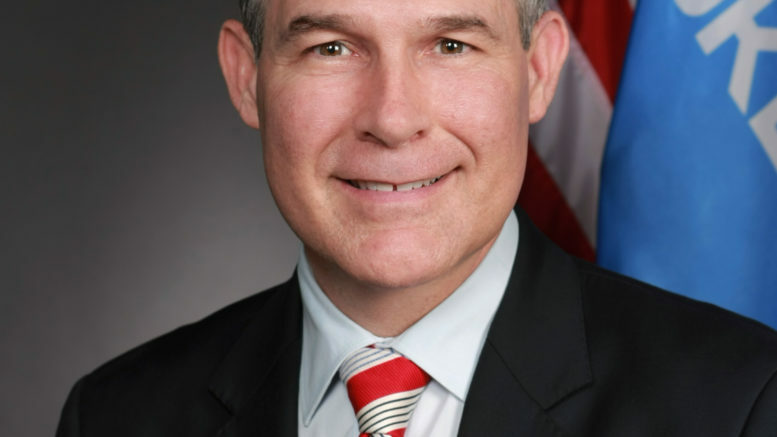 Scott Pruitt’s wasteful legacy lives on. OKLAHOMA CITY (AP) — The Oklahoma Supreme Court has rejected a proposed rewrite of a ballot question on medical marijuana that was submitted by the state Attorney General’s office. In a 7-1 ruling on Monday, the state’s highest court rejected the proposed rewrite that supporters of the medical marijuana initiative had argued was intentionally misleading and could confuse people into thinking they were voting to fully legalize marijuana. Under the ruling, the original ballot language drafted by the marijuana supporters will appear on the ballot. Supporters of medical marijuana gathered enough signatures from registered voters last year to have the proposal appear on the ballot in November 2018. It is the second ballot title rewritten by the attorney general’s office that has been rejected by the Supreme Court.